Here at TPA our Head of Design, Ruth, is beavering away preparing our new catalogue which will be going out on tour next year. The theme for this new exhibition is patterns and it is one that we are all really excited to see come together. We come across patterns every day. We have them on our clothes, we have them in our homes, we see them in nature, we walk across them, we walk past them, we walk under them, and we probably even consume them at meal times. And yet we very rarely take that much notice of them. This exhibition will hopefully help to highlight the hidden beauty that can be found in the smallest details that make up our world. 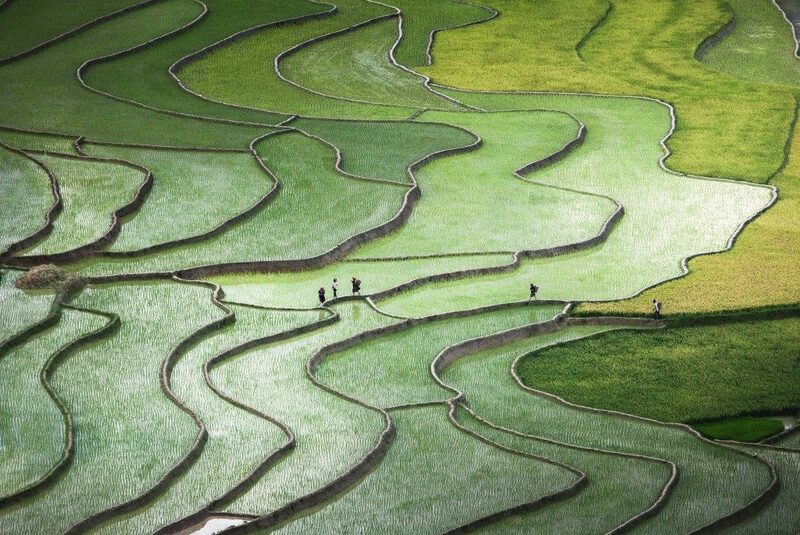 Today’s Pic of the Week was taken by Quynh Anh Nguyen and features the terrace paddies of Northern Vietnam. This image was actually awarded 1st Place in our Pick a Pattern competition.